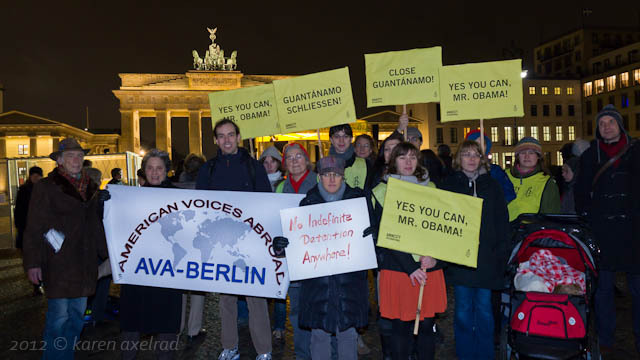 The chair of AVA-Berlin, Ann Wertheimer, spoke on January 11, 2012, the 10th anniversary of the opening of the detention camp at Guantánamo Bay, Cuba. American Voices Abroad Berlin joined Amnesty International Berlin-Brandenburg to mark this 10th anniversary and to call for an end to indefinite detention and unfair trials. Listen to Ann’s full speech below. More photos here.